The volatile 1st quarter of 2018 is in the books, and half way through the 2nd quarter of the year the theme of volatility followed by brief periods of calm continues in the global financial markets. At this point, we continue to believe the up and down markets will continue through the summer, and likely through the end of the year. Over the past two months we have seen the U.S. administration take on trade deals, the tech sector, North Korea and even Amazon specifically. While the developments with North Korea seem to be trending positive, trade negotiations with Canada, China and other countries have created uncertainty, and we see that reflected in performance of the US Industrial and US Basic Materials sectors. At the market close on May 16th, U.S Industrials were down -0.19% year to date and US Basic Materials were down -0.63% for the year. U.S Utilities have also suffered with the sector down -4.60% percent for the year. After numerous positive sessions over the past two weeks the S&P500 has moved into positive territory and is now up 2% year to date. The NASDAQ is up +7.17% year to date reflecting the continued strength of the technology sector. The Russell 2000 has been at, or near, record levels with the index up +5.71% year to date. The bond market, as generally defined by the U.S Aggregate Bond Index is down -3% year to date. The bond market is under duress across the yield curve and will continue to face headwinds as the federal reserve continues to raise interest rates in 2018 and 2019. The Federal Reserve took drastic actions during the recession and financial crisis of 2008 and 2009. These actions included large asset purchases and multiple rounds of quantitative easing in an effort to spur economic growth. The actions were mostly effective, and helped asset prices around the world stabilize and then surge. Since these actions can’t last forever, the Federal Reserve is beginning to unwind its balance sheet as U.S economic conditions have improved. This re-positioning and selling of assets by the Fed increases the supply of bonds, and other securities, which impacts both the fixed income and cash liquidity markets (known as the money markets). Many will refer to the Fed’s balance sheet reduction campaign as quantitative tightening. We’ll call it an increase in supply, which is challenging for the markets to absorb, thereby causing prices to decrease. Of course, a decrease in the price of individual bonds causes underperformance in the asset class. With continued global economic improvement, and new Federal Reserve Chairman Jerome Powell now at the helm, the markets have become concerned that the Federal Reserve will raise interest rates at a faster pace than anticipated a year or so ago. While the expected rate increases are a normal part of an economic recovery, the fixed income markets are going through a period of repricing and adjustment following 10 years of unprecedented low rates. This adjustment period in the bond market will have an impact on bond prices, equity markets and commodities over the coming months and possibly years. 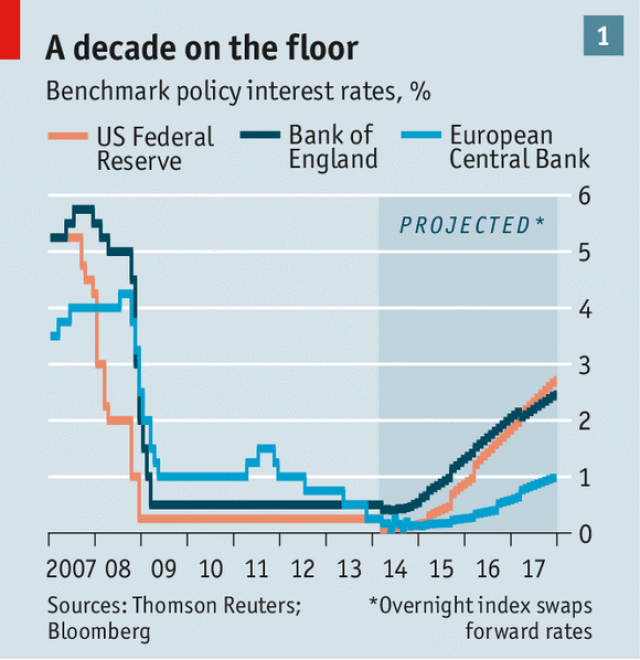 It’s important to remember that it is normal for interest rates to rise and fall, but rates near zero for almost a decade was unprecedented. With continued low unemployment numbers, and rising inflation numbers, we expect the Fed to tighten rates by 25 basis points two more times in 2018. As always we continue to keep a close eye on the 10 year US Treasury bond, which is a benchmark for the yield curve. The 10-year treasury bond yield has finally risen above 3% and is now trading at a yield of 3.09%. Along with the low interest rates mentioned above, the U.S. economy has experienced very low inflation since the market downturn of 2007 and 2008. We have recently seen a slight uptick in inflation, and some projections that inflation could continue to increase. Inflation talk always scares the bond market because as inflation increases, higher rates typically follow. When interest rates go up, bond prices go down. Long story short, higher inflation causes fixed income portfolio managers and bond traders to re-balance their portfolios very quickly, which can cause pricing uncertainty and bond market volatility. 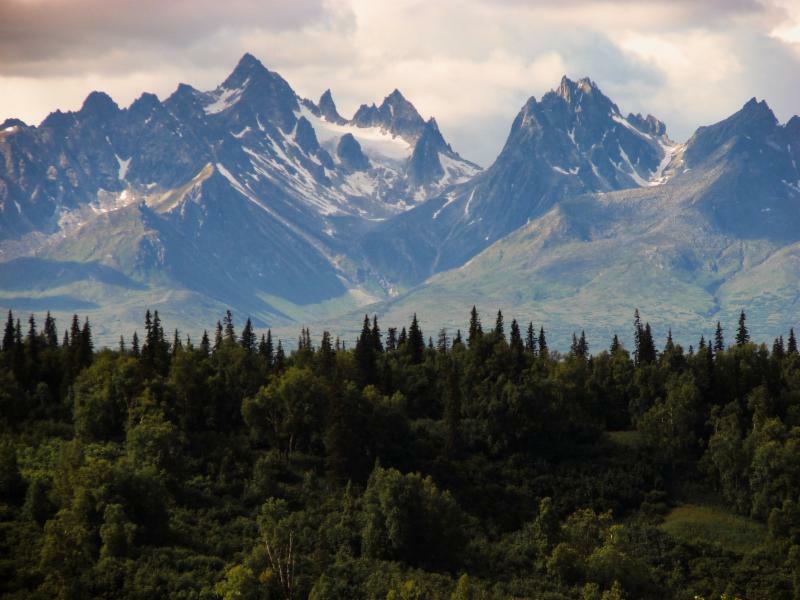 You may recall that our belief at Copper River over the past 18 months was that inflation and interest rates would rise more slowly than many expected. This prediction was accurate, but we are now drifting closer to the consensus belief that inflation numbers and interest rates should continue a slow and steady upward movement through the summer. We are beginning to see pricing power increases in very specific sectors, but we don’t see massive broad- based inflation over the near or mid-term. Reduce exposure to interest rates by investing in shorter term bond holdings while continually monitoring the credit quality of issuers. Reduce exposure to high yield fixed income and look to reallocate more to investment grade fixed income and municipal bond portfolios. We will also consider variable rate preferred equity for those seeking dividends and interest. Increase exposure to floating rate debt and well managed bank loan portfolios. Increase cash positioning in client portfolios to around 10% (client specific) to take advantage of the volatility and opportunities to buy equities at reduced prices. The focus will be on core equity positions and fundamental sectors. With our view that the recent volatility is market driven, we expect to see buying opportunities in key long term holdings at attractive prices. Reduce exposure to U.S price sensitive investments and increase exposure to U.S value related investments with a focus on solid dividend and solid revenue producers with strong balance sheets and limited debt or leverage exposure. The principals at Copper River each have approximately 20 years of experience working in numerous market areas. Our backgrounds include: Institutional Portfolio Management, Credit, Capital Markets, Investment Banking, Institutional Investment Advisory and Proprietary Fixed Income Trading. These experiences provide us with a unique market view which helps us manage risk appropriately for each individual investor. As always, the primary goal at Copper River is to appropriately manage your holdings per your individual risk tolerance given the current market conditions. Preserving capital, creating returns without taking excess risk and deploying capital at the right time will help accomplish long term growth and income in our portfolios. Please feel free to call us with questions, or if you would like additional information on any of the topics that covered here.